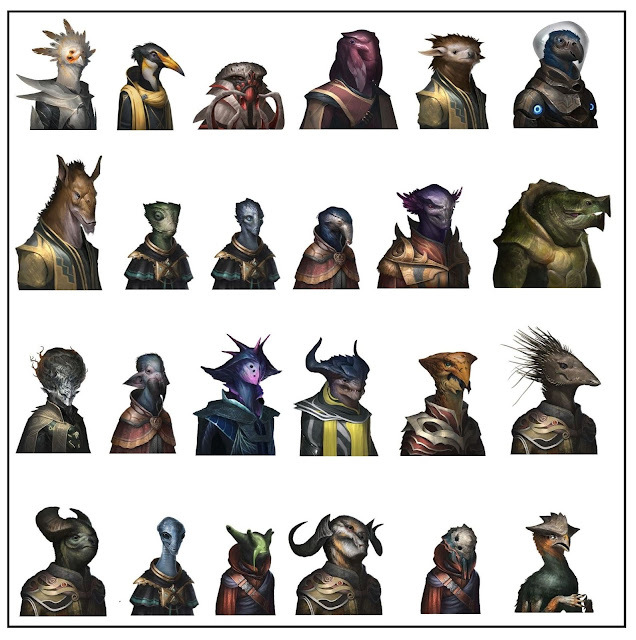 Okay, so I thought I would put out a nice photo of all the aliens living within the Dusarra Dyson Sphere and I think I got most of them. I am leaving a few available open slots for anyone who wants to write up the Dyson Sphere; you can pick 7 additional alien races that you want. The photo below shows some random alien race pictures, of which I know nothing about. Maybe you wanna write about them? Come join the fun!